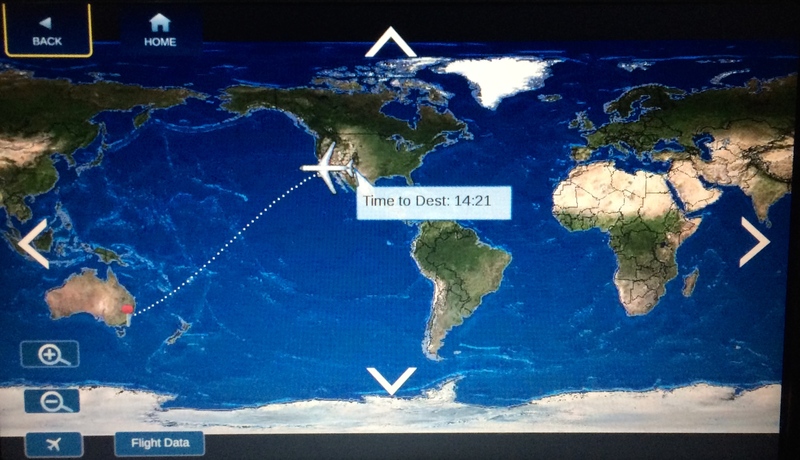 Generally I’m a big fan of air transportation, but 21 hours of flying time is a lot, even for me! I left DC on a sunny Saturday afternoon. Once I arrived at the airport, I learned there’s a visa required to enter Australia. Fortunately, I always go to the airport way too early and I had time to whip out my computer, fire it up, navigate to the state department website, purchase one and still have time to catch a ride to the gate. Catch a ride, you say? Sadly, I sprained my ankle four weeks ago and I’ve got another two weeks in my splint. I’d arranged for wheelchair assistance from gate to gate because even though I’ve been off the crutches for two weeks, I have a big ugly splint on my leg and am still limping around like a drunken sailor on shore leave. Delta makes it very easy to sign up for wheelchair assistance, and the people pushing them seem really nice, though they tend to roll you to your gate and abandon you. First flight was from DC to Salt Lake City. I used my time to research things to do in OZ and finished up my itinerary. The next flight was from SLC to Los Angeles. 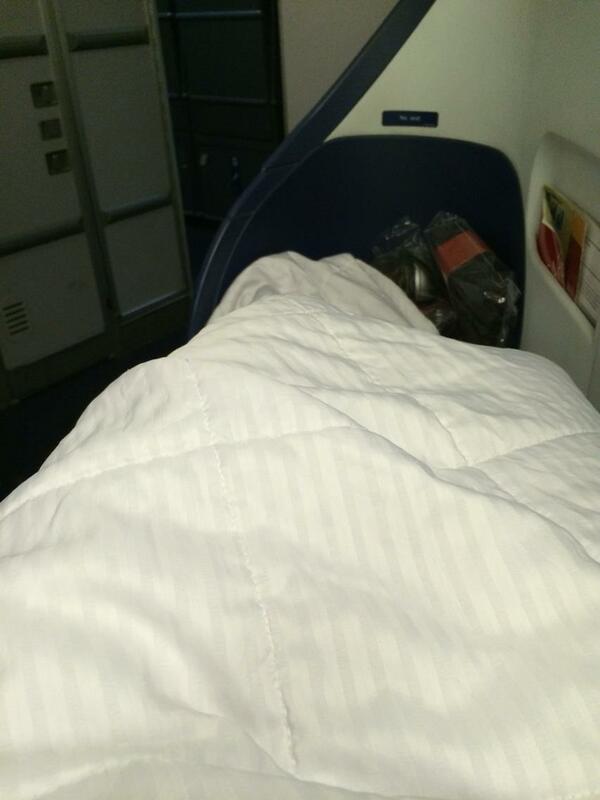 Luckily I was upgraded to first class and could finally stretch out and breathe. 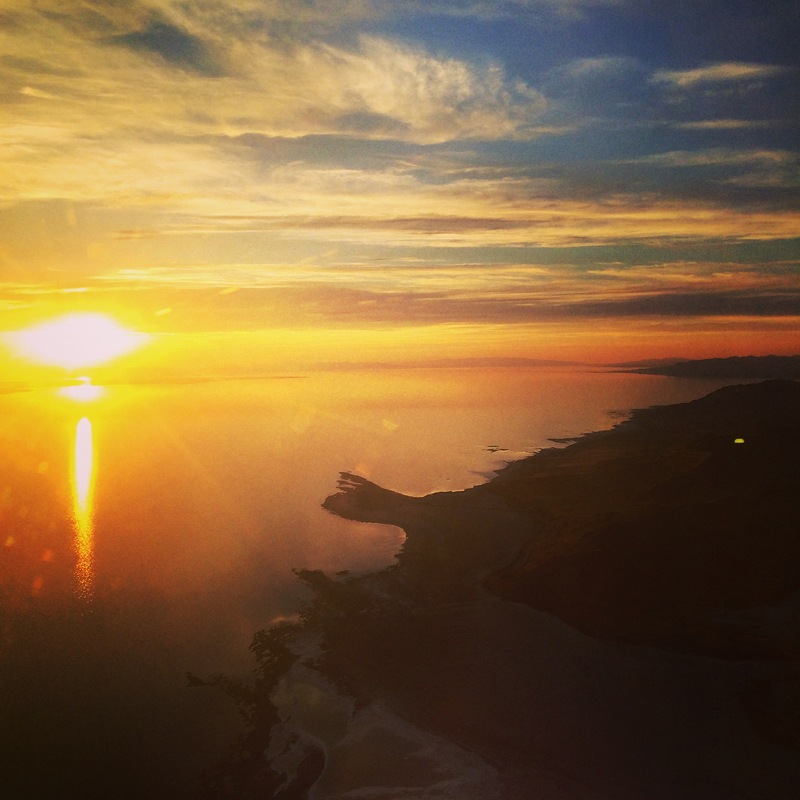 Also, we took off right at sunset and the views of the lake were stunning. As we approached LAX, Jen texted to let me know she was at the gate waiting for me. Unfortunately, the pilot overshot the gate and they couldn’t line up the jetway. That resulted in a serious delay while they tried to line it up.. 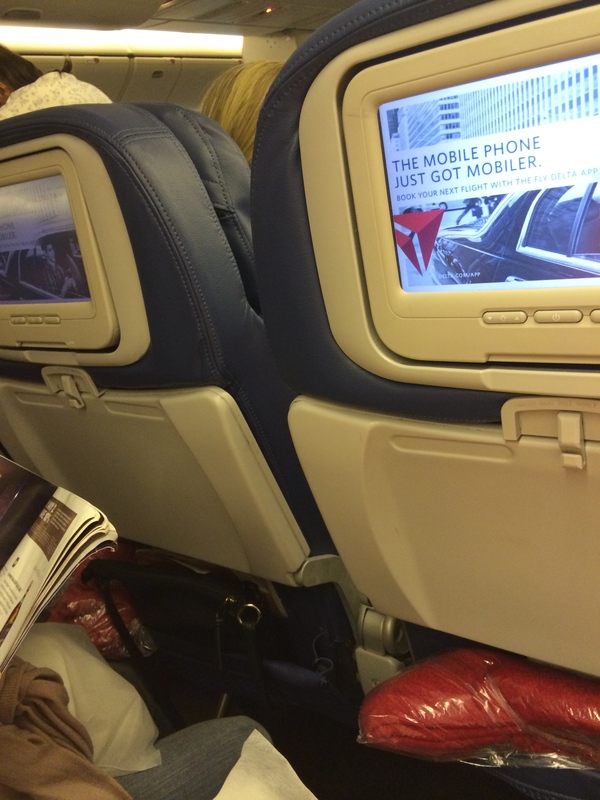 Eventually they gave up and made everyone sit down so the pilot could back it up. 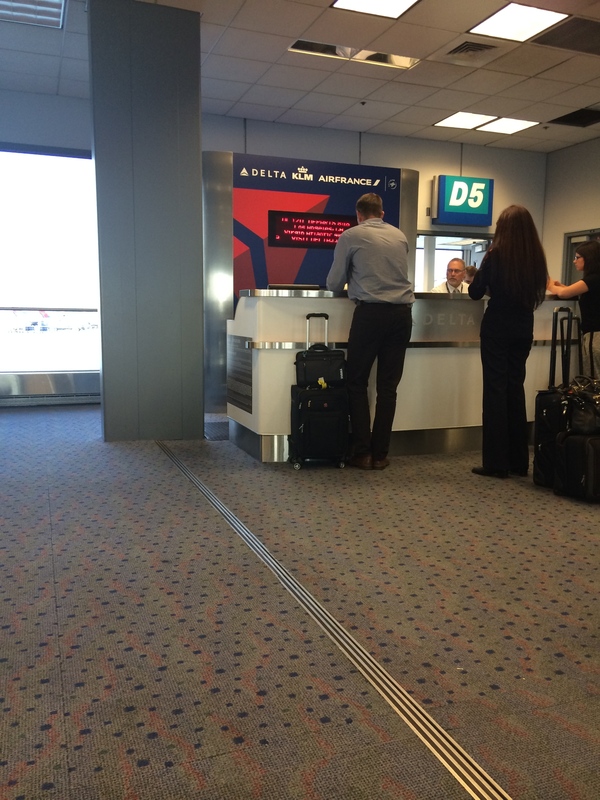 Meanwhile, the gate agents told Jen to go on to the next gate since it was already boarding. When I got off the plane, Jenni had already discovered she was able to use her global upgrade certificate. By the time I arrived, she was firmly ensconced in her bulkhead flat bed seat. Since people like me aren’t allowed to enter her area, I had to text her my seat number to let her know I’d arrived. She popped back to tell me and my seat mates how nice it was up front. Of course we were all delighted for her…. I’d heard the best way to avoid jet lag after the 15 hour flight was to stay awake as long as possible and then try to sleep for 6 or 7 hours before you land. When I boarded it was 1:30 am EST. I watched Bad Words (2 thumbs up, loved it). And enjoyed the rubbery chicken before the Benedryl and Bloody Mary kicked in. I slept a solid 5 hours before the lights came on so they could serve us some mediocre snack. I couldn’t help but notice there were no lights up in the business class which probably explains how Jenni got 7 hours of uninterrupted sleep. I tried to shift my position and rotate my ankle without waking either of my seat mates and was able to doze off for 10 or 15 minute periods before I’d jerk awake with a random cramp or ache for the remainder of the flight. Jenni came back to check on me after her long sleep. My seat mates and I were so happy to see how well rested she was. She didn’t stay long as her kind isn’t allowed to mingle with my class much. 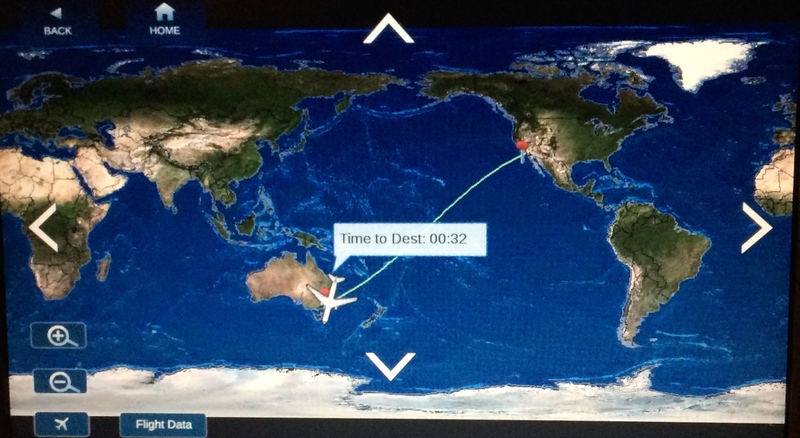 Thankfully it didn’t take much longer to reach our final destination, the beautiful Sydney, Australia. Wish you were here! This entry was posted in Getting Around, Life Story. Bookmark the permalink.